IN CROWDED metropolitan centers across the country the thin trickle of new automobiles is helping one problem —transportation—but heightening another. Parking lots are bursting with automobiles of commuters, curbs are lined and every city has a parking problem which no plan has solved. Increased costs pose another serious problem for the average family. Car prices have risen beyond comfortable reach. One-car families which ordinarily might be two-car families can’t afford the extra outlay of $2,000 or more, even if auto deliveries could be made next week. At Salsbury Motors, Inc., Pomona, Calif., an automobile-type production line is pouring out a new type of motor vehicle which may be a partial answer to these problems. 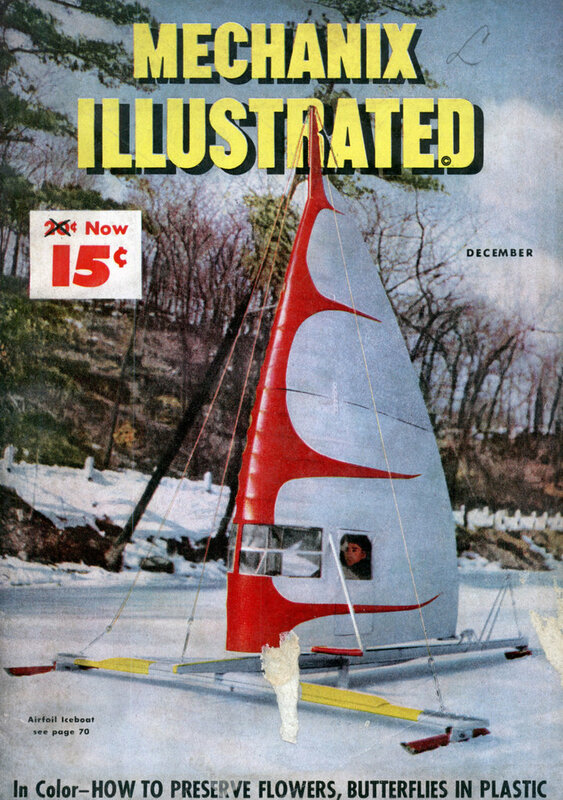 Salsbury is a wholly-owned subsidiary of Northrop Aircraft, Inc., creators and builders of Flying Wing bombers. The new scooter—which might be described as a cross between a light car and a motor bike -has speeds up to 35 mph and does 65 miles to the gallon. The single-cylinder, six-hp engine is air cooled and weighs only 56 lbs. Clutch and transmission are automatic. No apparent front brake – yikes! That could explain all those scuffmarks on front…. Salsbury scooters are amongst the most prized and valuable of the vintage scooters. 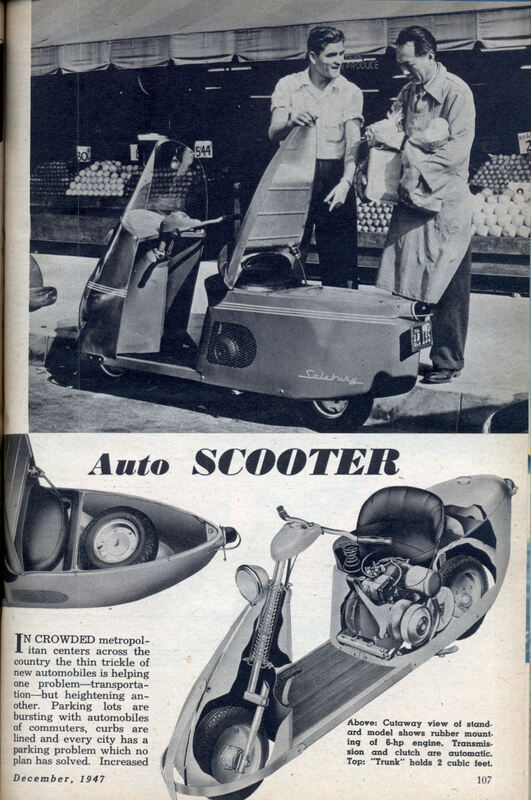 Most any scooter collector would love to have a Salsbury in his collection. Planes of Fame Museum in Chino CA should really have a Salisbury to go with their Northrop N-9M flying wing prototype. Out of the two surviving Northrop wings (the other is the earlier N-1M, cosmetically restored at NASM) it is the only one in flying condition.